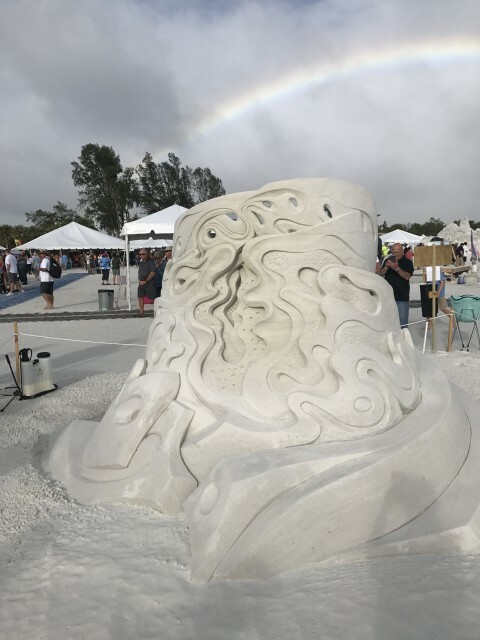 Sand Sculptures : Master Sculptors proved their talent when they flew down to the sandy beaches in Siesta Key. 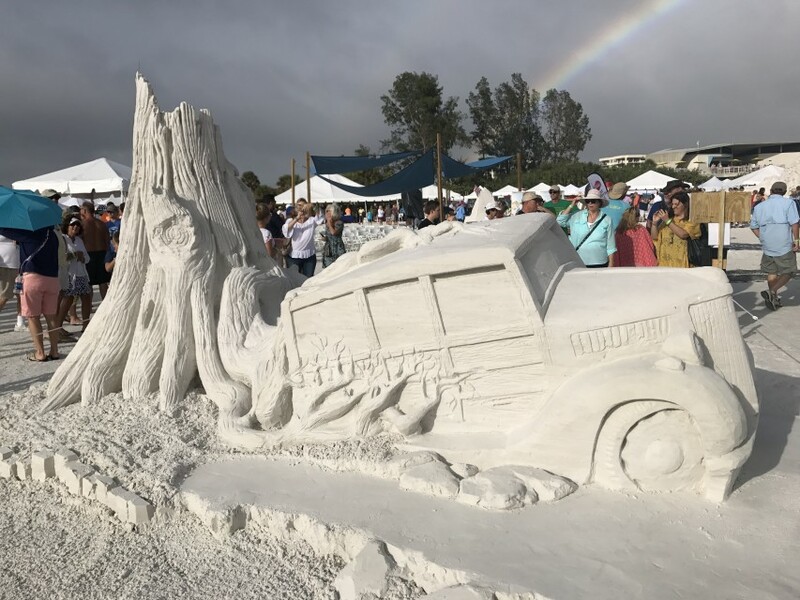 Siesta Key Sculptures holds annual sculpture competition and it's currently in it's eighth year. 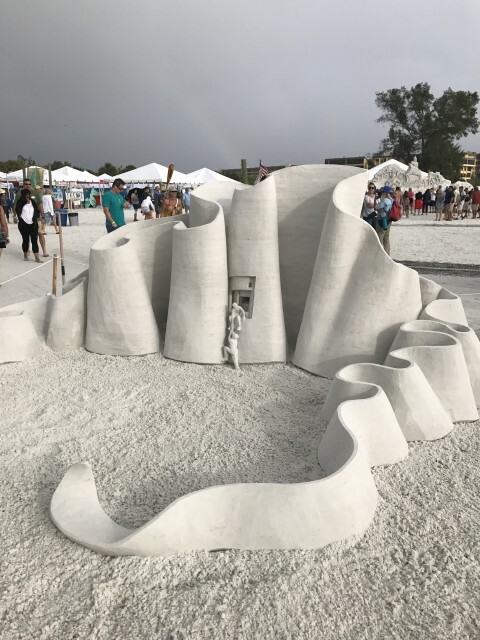 The Siesta Key is known for it's white sand, which is great for sculpting. 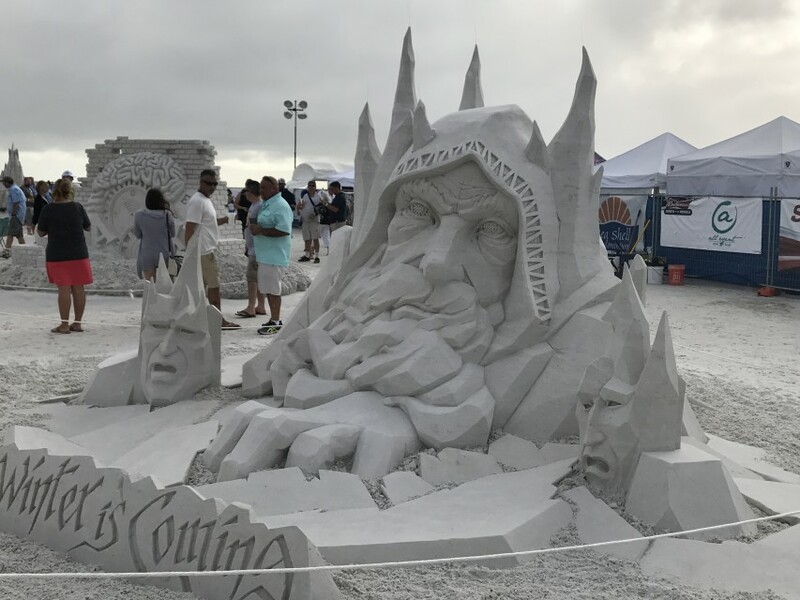 The first place prize winner was Karen Fralich and Dan Belcher for his 'Winter is Coming' sand sculpture and he won $3000 for his stunning masterpiece. 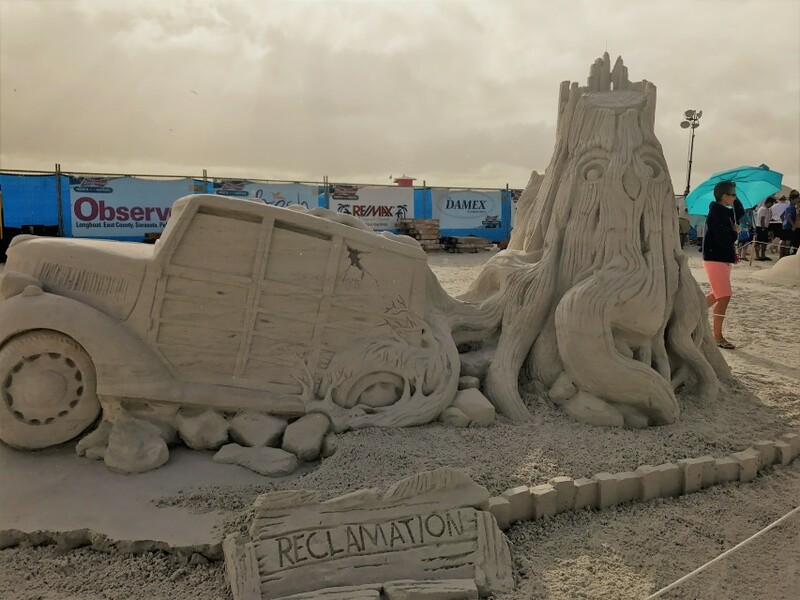 The second place prize winner was Helena Bangart and Fergus Mulvany for 'Water Dream' and they won $2500 cash prize. 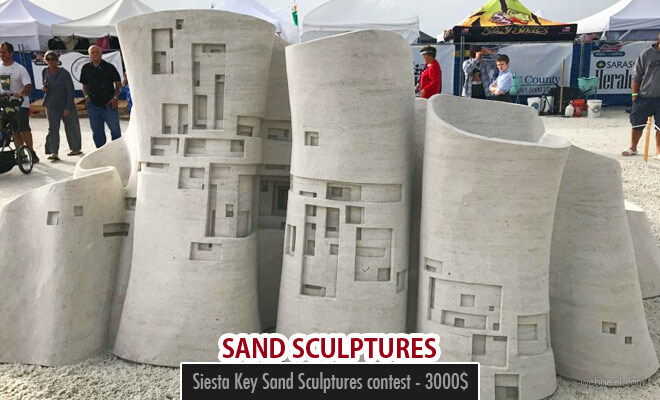 The third place prize winner won $1000 cash prize for 'Reclamation' which was sculpted by Steve Topazio and Ron MacDonald. 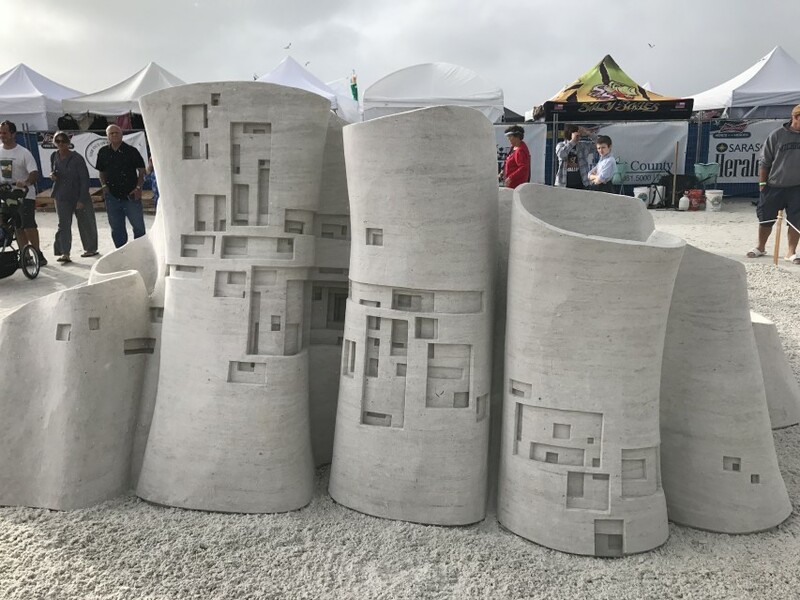 The Sculptor's choice award was presented to Damon Langlois of Canada and Joris Kivits for their 'Catalytic Thinking' sculpture. 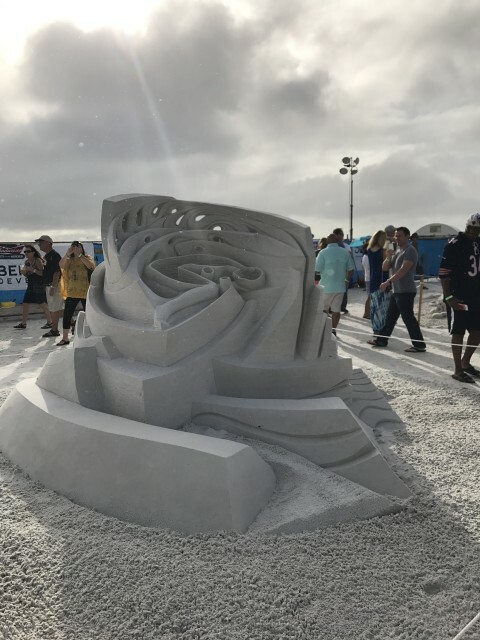 This year 12 teams participated for the sculpture contest and they were from the following nations: South Korea, Canada, Italy, the Czech Republic, Singapore, Ireland, Lithuania, the Netherlands, Portugal, and U.S. states including California, Florida, Missouri, New York, Rhode Island and Texas.Every year Siesta Key Sand Sculpture gets bigger and famous, so make sure you present your work for 2018 sculptors across the world.